Hordes of excited gamers descended on shops across the globe to get their hands on the latest release from the blockbusting " Call of Duty" video game franchise. 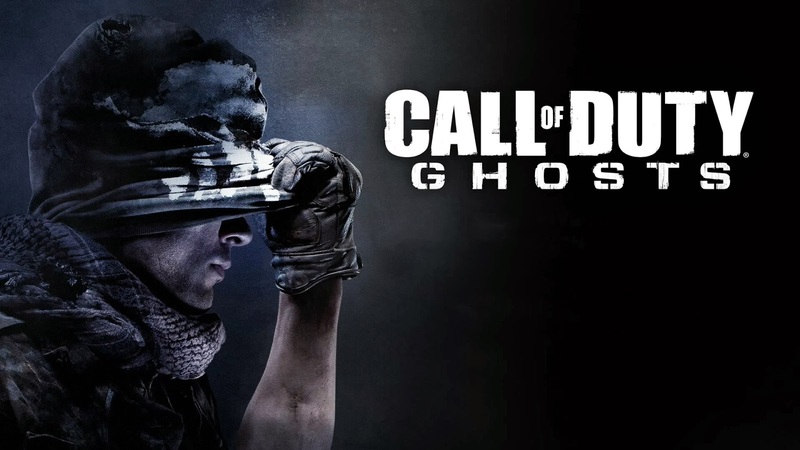 Devotees of the decade-old military shooter series queued through the evening to buy " Call of Duty: Ghosts", which went on sale at midnight across the world. In New York, David Santiago, 20, was first of dozens in line outside Gamestop on 33rd and Broadway, queuing since 5pm, chatting with friends, ordering a pizza and soaking up the excitement. "I'm going to run home. Getting that train, getting myself home and getting my Xbox going to have some fun," he grinned. Down the block, 37-year-old electrician Michael Maddan was hot with anticipation despite the late-night winter chill. "I can't wait," he said. "I like gun games. I like running around shooting people. I can't do it in real life, so I have fun doing it on Xbox. It's great." The latest sequel is set in a desolate United States devastated by a satellite-guided "kinetic" weapon strike on San Diego. Compatible with smartphones and tablet computers, it promises new missions and extends online capabilities. In London, England footballers Daniel Sturridge and Andros Townsend and rappers Rizzle Kicks helped to launch the game by competing in a multi-player tournament at the O2 Arena. Liverpool forward Sturridge said he was feeling "super good" after defeating game developer Tina Palacios in the final. Around 150 people lined up at the GAME store in London's Westfield Centre on the stroke of midnight. They were on the receiving end of a barrage of orders from a member of the army, drafted in to ensure the new recruits were up to the job. "The game is on!" declared Zohab, who had waited since 7:00 am to secure first place in the queue. Fellow player Damien called it "the best game in the world". Some 2,000 shops around Britain opened for the event, according to Roy Stackhouse, the UK general manager for game producer Activision. "I think it's fantastic," he told AFP. "We've got a very loyal fanbase, they drive us to make the best gaming experience we can." Lucky Australians were the first to the checkouts with stores hosting special launch openings that attracted hundreds of fans. At the official launch at Ipswich, near the Queensland capital Brisbane, fans wore military greens and carried fake weapons while others lined up for three hours at EB Games in Sydney. "I got dressed up for this," said Daniel Keigaldie, pointing to his camouflage gear. Activision's vice president of production Daniel Suarez said the United States is the underdog in the new release. "The player is a survivor joining with the military to defend against invaders from the south," he said in an interview, adding that developers Infinity Ward -- an Activision subsidiary -- were determined to create a compelling storyline. The success of the franchise, which has moved over 100 million units, is down to its spectacular gameplay and multi-player options, according to expert Scott Steinberg. "It delivers Hollywood-grade pyrotechnics, online multi-play and the kind of re-playability guaranteed to keep people coming back for months on end," said Steinberg, global videogame analyst for TekSavvy. The last version reached sales of $1 billion after just 15 days in stores and gamers have logged some 25 billion hours of online play overall, according to Activision, the game's publisher. The game, the tenth main instalment in the series, will be released for play on PS3, Xbox 360, Nintendo's Wii U and personal computers powered by Windows operating systems. Versions of the game will later be available for users of PS4 and Xbox One. Activision has worked closely with Sony and Microsoft "since day one" to make sure "Ghosts" takes full advantage of new hardware, according to Suarez. "We want to be the must-have title of this new generation; our game looks amazing on next-generation systems," he said. A new "Call of Duty" app will allow smartphone and tablet players to update characters and squads, organise team matches and boast about their achievements on social networking websites Facebook and Twitter. New features will allow gamers to effectively create characters from scratch and marshal entire squads of customized soldiers while fresh online options include cooperative play and inter-squad battles.